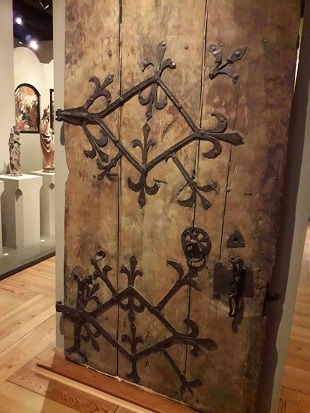 The medieval Małopolska was first and foremost the capital district and the residence of kinghood. This factor was conducive to the construction of many castles, royal mansions, trade router watchtowers in the area. The castles are connected as a so-called ‘Trail of the Eagle’s Nests‘ (in Polish: Szlak Orlich Gniazd). In the course of the centuries, many of them have fallen into ruins, others have fortunately survived until this day. The most famous is the Castle in Pisekowa Skała. 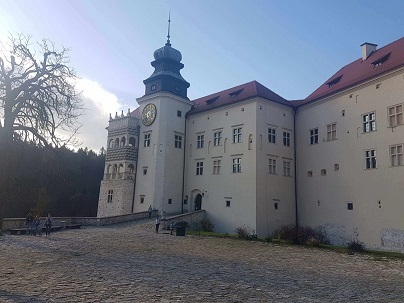 The castle is situated about 30km from the city of Krakow, in the heart of the Ojców National Park. 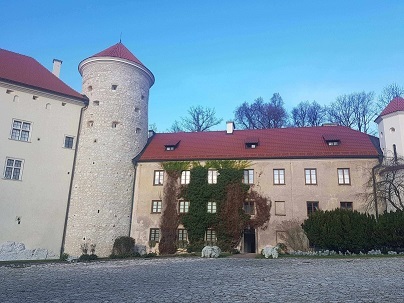 The castle in Pieskowa Skała was erected at the order of King Casimir the Great already in the 14th century. 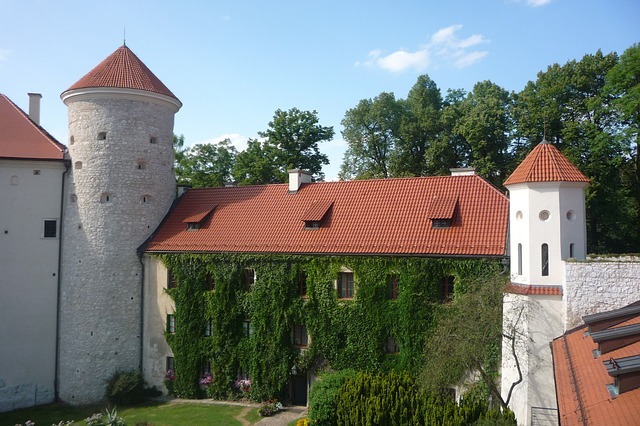 At the end of the 14th century, the castle passed into the hands of the Szafraniec family. The castle gained its Renaissance character thanks to its then-owner. They followed the verified example of Wawel. 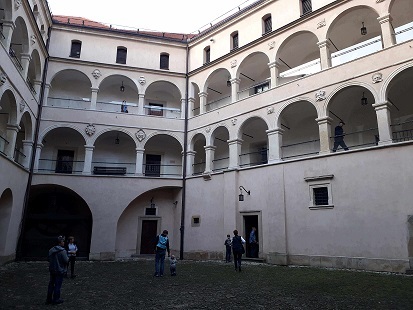 Architects bought from Italy erected the arcaded courtyard, while the clock tower was crowned with a helmet similar to the helmets ornamenting the towers of the Royal Castle. Next, to the castle, the Italian masters erected the arcaded loggia- an architectonic gem. 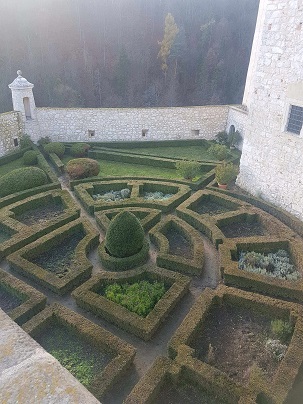 Later, they designed an Italian garden located on the terrace above the precipice. The works initiated by Stanisław Szafraniec was completed about 1578. 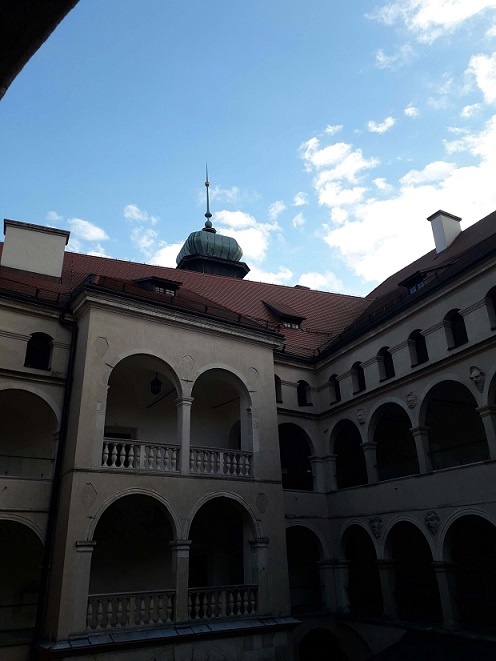 Today the castle is a museum, which is a department of Wawel Royal Castle in Krakow. The permanent exhibition presents an overview of the stylistic changes in Europan art from the Middle Ages to the 1930s and Poland's largest gallery of English painting. The museum's collection includes paintings by such eminent artists as Gustave Courbet, Gaspard Dughet, Jacek Malczewski, and many others. 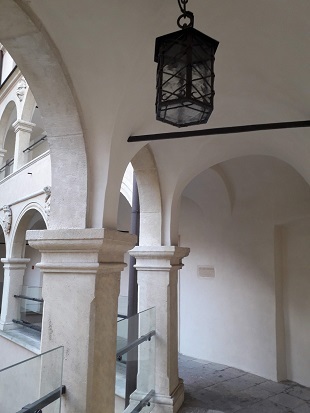 The best place to obtain information about the history of the castle is the special exhibition situated on the second floor of the gate building. The room for the display has been chosen deliberately. 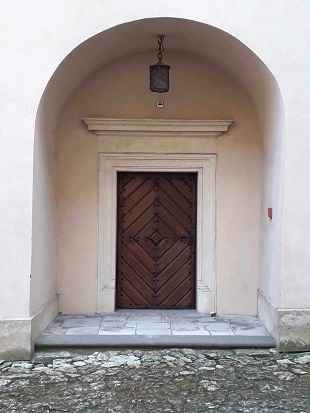 It is exactly the place where the original 16th- century wall painting has been preserved. 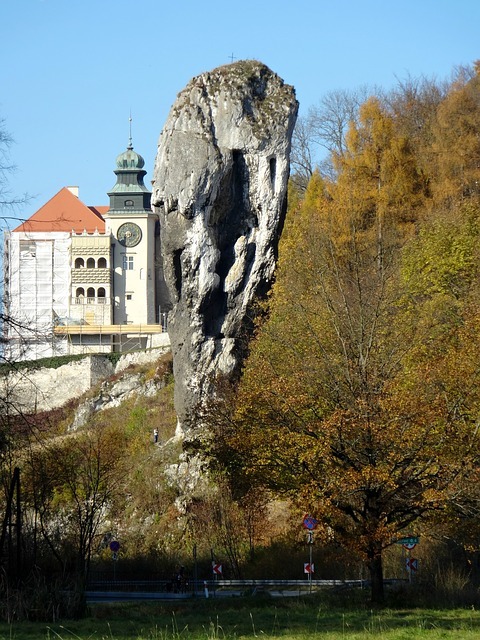 The castle has inspired the greatest number of legends and tales explaining its name (Pieskowa Skała- dog's rock). One of the legends is connected to one of the castle’s towers, named "Dorotka". 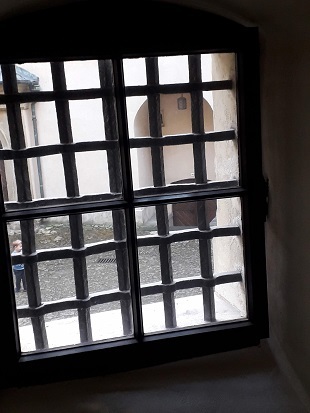 It is said that the count Szafraniec fell in love with a charming girl named Dorota and decided to imprison her inside one of the tower’s rooms to starve her until she agrees to marry him. People say that she lasted there for a long time thanks to her faithful dog that kept bringing pieces of food to her doors. Ojcowski National Park was established in 1956. It takes its name from the village of Ojcow. The Park is a popular tourist destination since the 18th century.